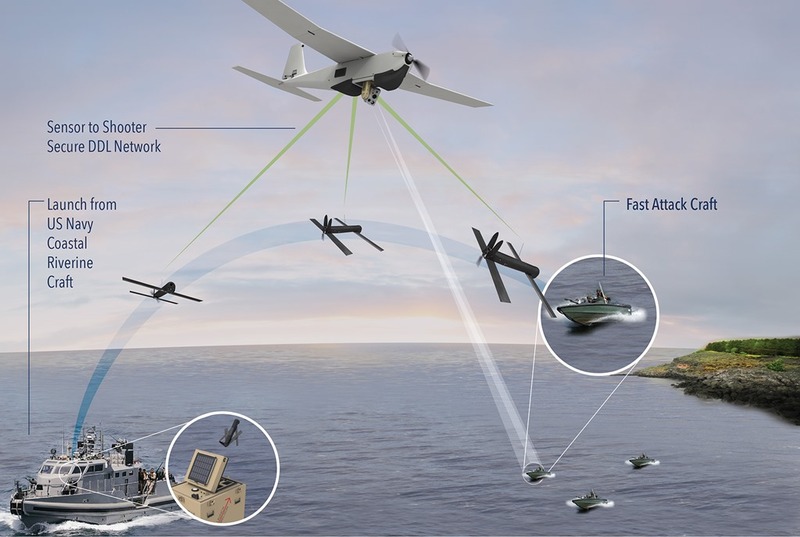 NATIONAL HARBOR, Md., at Sea Air Space 2018, April 9, 2018 – AeroVironment, Inc. (NASDAQ: AVAV), a global leader in unmanned aircraft systems (UAS) for both defense and commercial applications, today announced the successful maritime demonstration of a Puma™–Switchblade® automated sensor-to-shooter (S2S) capability from a US Navy Coastal Riverine Craft for increased mission autonomy to counter threats. This entry was posted in UAV and tagged AeroVironment, Puma-Switchblade, Swarm. Bookmark the permalink.